Robinson Landscaping was started in 1997 by Malden native, Brian Robinson. Starting off with nothing more than a pick up truck, a small mower and a whole lot of ambition, Brian has grown the company to 15 employees and over 30 pieces of equipment. 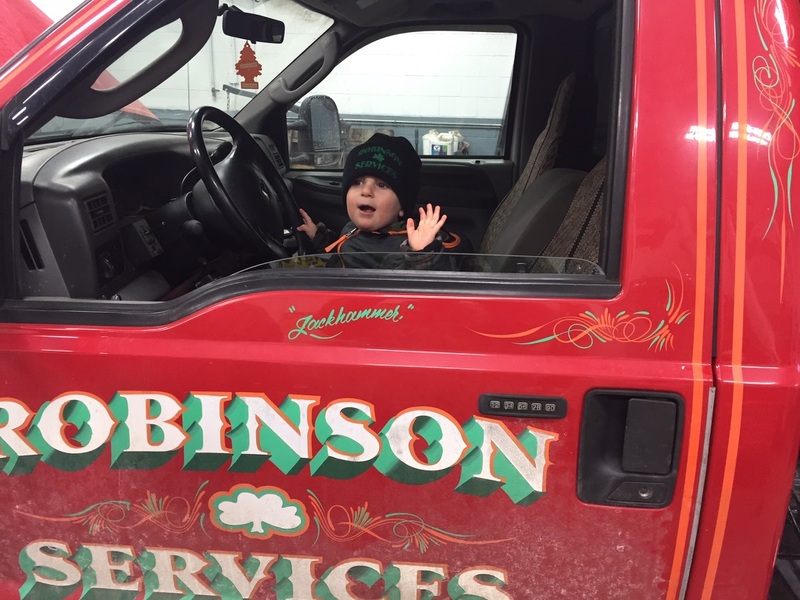 Robinson Services includes a full service landscaping, a multi- faceted disposal and demolition division and a commercial snow removal division. We have the right equipment to get the job done. Whether it is a weekly maintenance of your property, or a full face lift of your yard, or just spring cleaning Robinson Landscaping has the equipment to make your dreams reality. Our fleet of bobcats, skid steer loaders, excavators and front end loaders are always on hand to get the job done right. If it is demolition, clean out, Junk removal, or disposal service that you may need, than look no further. Robinson Services has a full line of dumpsters available for rent. 10, 15, 20, and 25 cubic yard dumpsters are available for rent to both homeowners and contractors alike. Our state of the art "hook lift" dumpster trucks are far less evasive to your property than our competitors and we even offer same day service upon request. Our demolition equipment includes, 60 & 90 lb jack hammers, Excavators with Hoe-ram attachment, Skid Steers with hammer attachment, Excavators with hydraulic thumb, cutting torches, cut off saws and much much more. Ask about our excavating services and bobcat services.